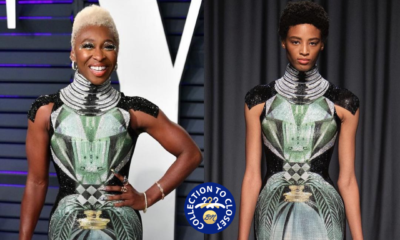 We have another edition of BN Collection to Closet – the style feature where we show love to our African fashion designers by shining a light on those who #BuyAfrican. 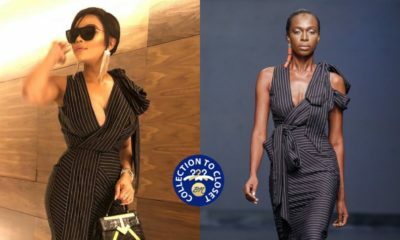 Today it’s all about prints as media personality Sharon Ojong rocks Nigerian brand – ThingsNigeriansLove. 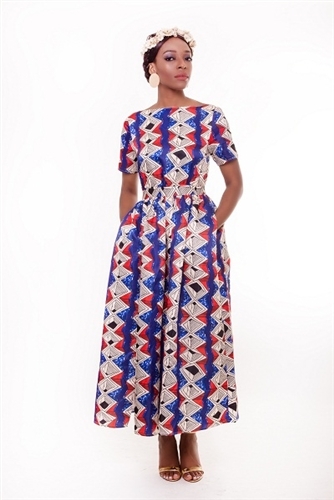 One thing that we can say about ThingsNigeriansLove is that they know how to create chic and colourful pieces. 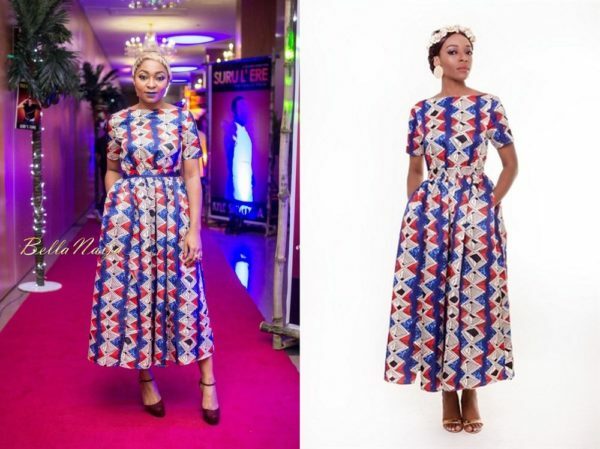 Sharon Ojong rocked this ankle length flare dress with a lovely blue print to the world premiere of “Suru L’ere”. The dress features an invisible zip to the side, double pockets and a low V back cut. She paired the dress with chic ankle strap pumps in a nice burgundy shade. She also kept things fierce with a blonde pixie cut and a vibrant blue lip colour.